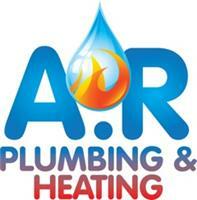 A R Plumbing & Heating - Bathrooms, Central Heating Engineer, Kitchens based in Crowland, Lincolnshire. Here at A R Plumbing & Heating we pride ourselves in providing a high quality service at the lowest possible price. Formerly established back in September 2013 by business owner Anthony Richards, A R Plumbing & Heating is a proud family run business offering over 10 years experience in the industry. As a small company we understand how daunting it can be trying to find the right tradesman for the job, and that's why we are here 24/7 to offer you free friendly, reliable and honest advise on all jobs regardless how big or small. A R Plumbing & Heating thrive from our positive customer feedback and have established a solid reputation over our years of trading. We strive to complete all of our jobs with care and consideration at all times, from the very first call you make to us up to completion of the work - we are here to help you every step of the way and thereafter - please note all parts and labour supplied by A R plumbing and heating come with a standard 12 months guarantee for your peace of mind. Call today for your free no obligation quotation - please mention Checkatrade when calling!